A fantasy and young adult combination, it makes the book awesome. It is cool and exciting because that means adventure and magic is involved. 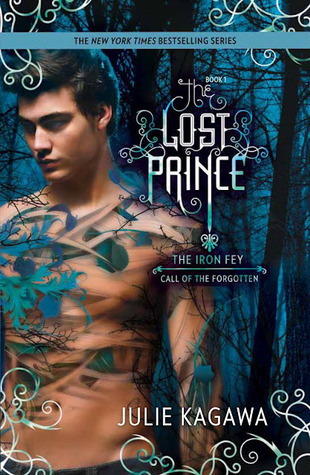 I'm just a bit confused while reading this at first because I haven't read the other Iron Fey books until now and to tell you the truth I find it great. The story is full of adventure and excitement. I've read fantasy related books before and this one is different in a good way. I like the story, it has something like acceptance and sacrifices. I like the fighting scenes too, it's great and suspense! Ethan dreams to have a quiet life because his entire life is surrounded by Fae (fairies), ever since he keeps avoiding them because it brings trouble to his life and his family. As per Ethan's view, the Fae are the reason why his sister Meghan lives their world, she chose to live in the Fae world and because of that, he hates everything related to Fae, yet that didn't stop to haunt him. In his school he met Todd who is a half phouka, which means related to Fae again. He knew him the first time they met and everything didn't turned out great since then. Despite his adventure to the Fae world, he is not alone, Kenzie was dragged in to that world because someone is after them and they want to kill both of them. Kenzie is a girl from Ethan's school who is in-charge of the school paper and because of her being so bossy, she end up with Ethan in the Fae world. She is weird but kind and brave for she is not afraid in the challenges. She did a deal to a Fae and that will change everything to her life yet behind that there's this secret she kept for years and that's the reason why she did that kind of decision. The book is nice and fun to read, I like the concept. Ethan and Kenzie's part is cool, they're perfect for each other, one is too contented with what he has and the other is so bossy also, both of them has a secret that they kept for years, it's a burden for both of them. They have so many things in common and it makes them a cute couple. I love how Kenzie call Ethan "tough guy". Awesome book and I'd better read the other books so I can fully understand the part of Meghan. There's a missing piece inside my head and I wanna fill that with stories of Meghan. I'd better grab a copy! Great adventure and suspense!